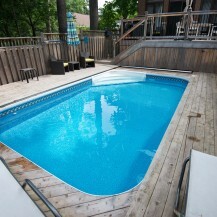 Inground swimming pools are becoming more and more common in Ottawa. This is because they have become more available than ever before. 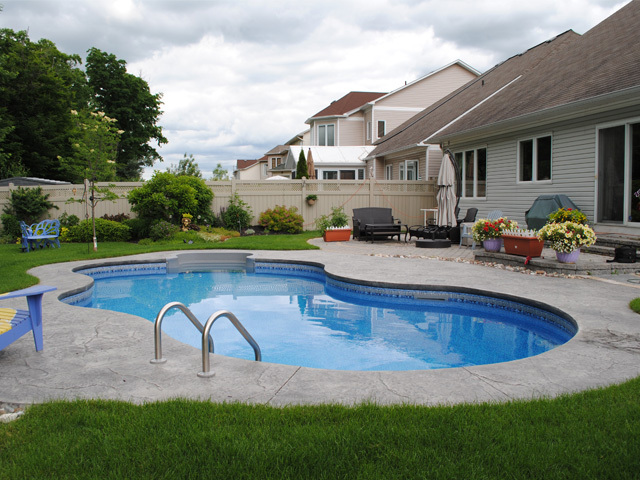 There are many options, but one that suits the majority are vinyl inground pools. These pools are customizable in shape, size, and colour, and their vinyl linings are smooth to the touch and limit the growth of algae. Splash into a Poolarama vinyl inground swimming pool this summer! 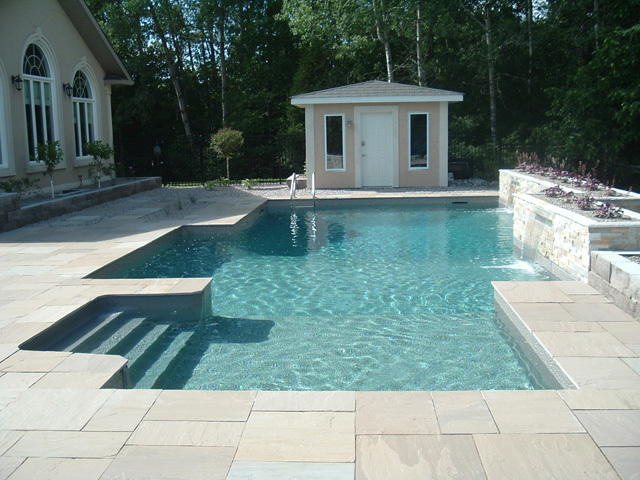 We install inground pools that are perfect for any Ottawa home and easy on the wallet, too! 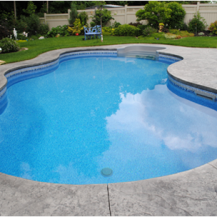 What is a Vinyl Inground Swimming Pool? 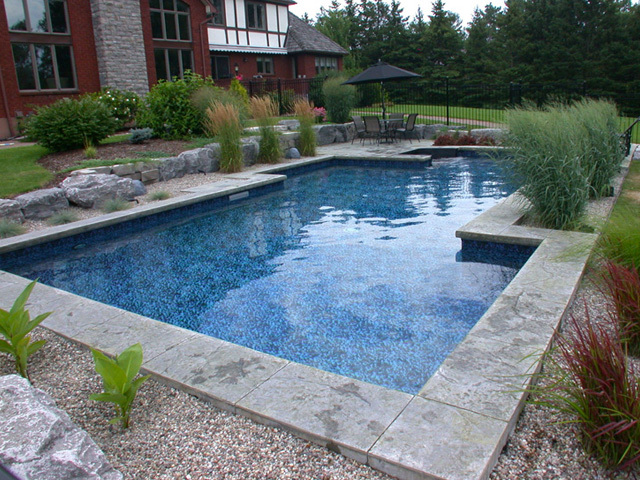 If you don’t like the more limited array of fixed shapes offered by fiberglass pools, then why not try vinyl instead? We can help you create the perfect shape that best compliments your outdoor entertainment area, and outfit it with all the accessories you need for the perfect inground swimming pool experience. 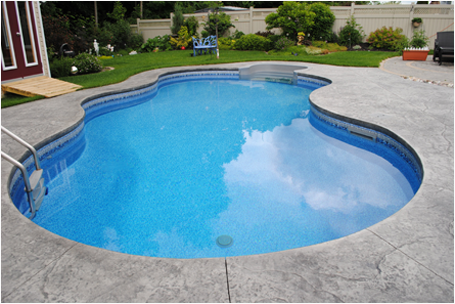 Our vinyl inground pools are made of several components. The first is the structure, which comes in many shapes and sizes, and offers greater customization than a fiberglass pool. 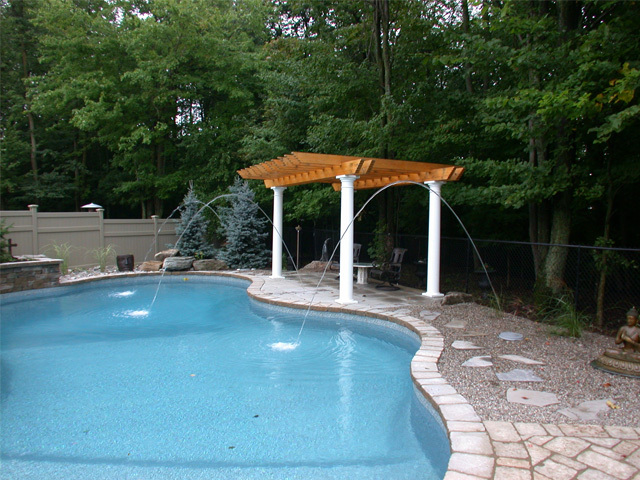 The walls can be made of galvanized steel, or non-corrosive polymer – whatever is best for your pool! The next component is the foundation; the final component is the vinyl liner, which will be made to fit both your pool specifications and your colour choice. 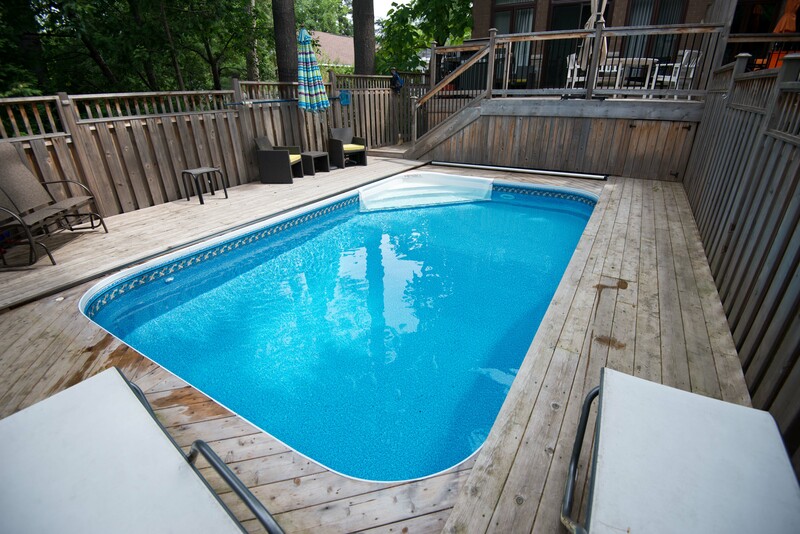 With all of the possibilities available to the Ottawa region, having an inground swimming pool will enhance your backyard and turn it into the summer oasis that all of your neighbours will envy. Splash into one of Poolarama’s inground pools in Ottawa this summer, and enjoy the warm weather that Ottawa throws our way. 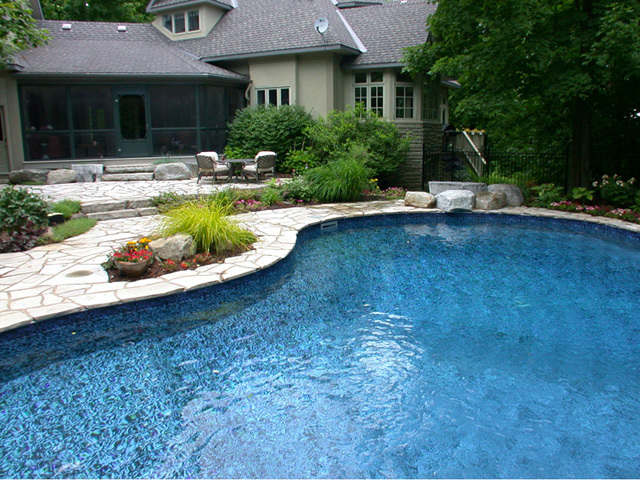 Looking for a vinyl pool liner replacement? We offer liner changing services too. Call us today to find out more! We only work with the finest manufacturers for our swimming pools.